Land Rover Defender. Land Rover Discovery. Muy facil de instalar. Se trata de desatornillar unos pocos tornillos que sujetan la carcasa de la bomba. y reemplazar el pin estándar por el nuevo pin de refuerzo de ajuste. Hatchback (SD1) 2000 1994cc 10.1982 10.1986. MONTEGO Estate (XE) 1.3 1275cc 10.1984 10.1988. 216 1598cc 03.1985 09.1989 2000-3500. 3500 3528cc 06.1976 10.1986. Bomba de gasolina eléctrica válida según fabricante. 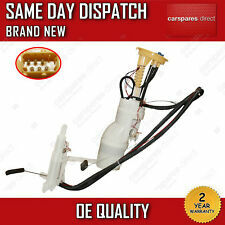 This fits all 200 and 300 tdi engines Defender, Discovery 1, Range Rover. This pin replaces the Bosch VE pin we have designed this pin to give you more power through the gear range. They take 10mins to fit 4 screws and 1 nut. 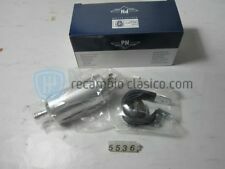 Bomba inyeccion MG ROVER serie 25 2.0 idt, Año: 2000 BOSCH. Referencia : 0470004005, Observaciones: ¡¡¡¡ojo casco! Llámanos y pide tu pieza. Te ayudamos a encontrar lo que necesitas. Atendemos por whatsapp. Código interno: 809198. Referencia : 13712247592, Observaciones: Bosch 5 pines. Wir können es überprüfen. Nous pouvons le vérifier. Código interno: 459221. Referencia : 0281002182. Wir können es überprüfen. Nous pouvons le vérifier. Rover Montego GTI, LXi, 2.0i catalizado (10/1988 - 10/1994). Rover 216 Vitesse (03/1985 - 09/1989). Rover 216 (10/1992 - 06/1999). 216 GSI, 206 GTI (todos). Bomba de gasolina eléctrica válida según fabricante. Equivalent to Land Rover STC1190 (used for reference only). Discovery 1 – 200Tdi Diesel. Range Rover Classic – 200Tdi Diesel. Defender – All 4cyl Diesel exc.300Tdi and Td4(Puma). DLS LAND ROVER SPARES UK. 75 & MG ZT ZTT Diesel CDT CDTi M47 BMW engined. The pump is situated under the rear seat (driver's side see photo no 3). We have tried them all and they simply don't last and are very noisy. 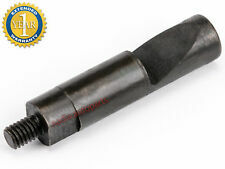 If you want reliability, and only want to do the job once, only this item is your solution. Código interno: 606683. Referencia : 0280218012, Observaciones: Bosch - 1 clema - 5 pines. Wir können es überprüfen. Nous pouvons le vérifier. CABRIOLET (XW). Bomba de gasolina eléctrica válida según fabricante. 200 Hatchback (XW). Equivalent to part numbers: WFX000180R, WFX000181R. 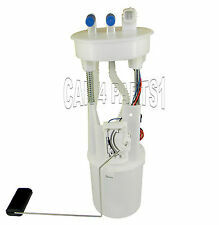 Land Rover Freelander TD4 & Range Rover L322 Remote Inline Electrical Fuel Pump. Freelander 12.0L TD4 BMW M47 Diesel models (2002-2006). Range Rover L322, 3.0L TD6 Diesel models. 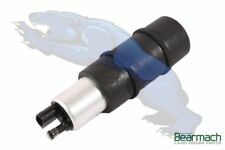 Referencia : 4R8Q12B579AC, Observaciones: Conector de 4 pines c2c12919, citroenpeugeot 1920gn, ford 1419677, ford 4r8q12b579ac, jaguar c2c12919, landrover phf500090, motaquip lvma157, motaquip lvma345, standard 19370, standard kmf018, standard lmf018, standard mafs458oe. Código interno: 1449495. Wir können es überprüfen. Nous pouvons le vérifier. 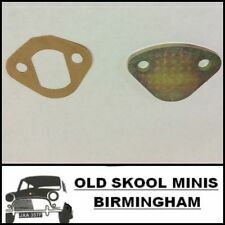 Series Land Rover parts and accessories. 420 Turbo 1994cc 01.1993 04.1995. 220 Turbo 1994cc 10.1992 06.1999 200 Hatchback (XW). 220 Turbo 1994cc 01.1993 10.1995 400 (XW). Bomba de gasolina eléctrica válida según fabricante. Leerlaufregler / Ventile. KRAFTSTOFFPUMPE BENZINPUMPE Land Rover Defender Diesel. Entlüfterrohr Schlauch / Rohr. 2 x Universal Kugelgelenk Traggelenk Spurstangenkopf Ausdrücker Abzieher Satz. AGR Ventil. Bomba de gasolina eléctrica válida según fabricante. 200 Hatchback (XW). 100 Cabriolet (XP). REFERENCIAS OEM. 414 GSI/SI 1396cc 04.1990 12.1992. (Hardi Kraftstoffpumpe für Rover und MGA. 1112-1) / Made in Germany. - Daten: 12V / 0.13 - 0.20 Bar / Förderleistung 60 - 80L / Stunde. Rover P4, Rover P5, Rover P6. MGA 1.6 MK1. MGA 1.6 MK2. - Förderleistung passt sich dem Verbrauch an. AHORA SUMINISTRA CON TUERCAS & ACEITUNAS, REQUERIDAS MONTAJE! Part number:NRC7135. 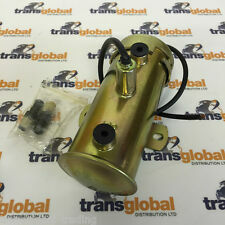 Land Rover 90/110, Range Rover Classic V8 Petrol Electric Fuel Pump Rubber Mounting. Get Free Quotes. 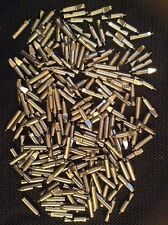 These are Land Rover 200/300tdi performance boost pins. 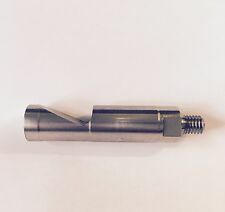 The boost pin is a modified pin that replaces the standard Bosch VE pin which has been designed to give you more fuel i.e.more power through the gears. BOMBA INYECCION MG ROVER SERIE 75 2.0 16V CDTI, Año: 2003. Referencia : 0445010011. Código interno: 1147204. Si no encuentras la pieza que necesistas, nosotros que ayudamos, llámanos ! Servicio de recogida gratuito con grúa. 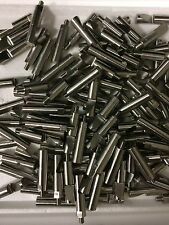 Precision machined from quality steel on a CNC machine which provides for accuracy of shape and ramp angle. Then case hardened for longevity. The ramp angle has been carefully researched giving performance gains on 200tdi and 300tdi engines. Referencia : PHF500101. Observaciones: 005036374. Nós podemos verificar isso. Wir können es überprüfen. Referencia : 0281002120. Observaciones: BOSCH. Desguaces GP. Venta online a toda España, envíos rápidos en 24 horas. Nós podemos verificar isso. Wir können es überprüfen. Landrover Range Rover MK3 [2002-2012]. LandRover Freekander LN [2001-2006]. OEM Part Numbers Number of Ports : 2. For the Following Cars . Outer body of the bowl is 50mm. Bomba combustible LAND ROVER RANGE ROVER sport v6 td hse, Año: 2013 LR042717. Referencia : AH229B260BB. Código interno: 930451. Wir können es überprüfen. Nous pouvons le vérifier. WFX000260, WQB100240, WFX 000260, WQB 100240. Car: Land Rover Defender. Land Rover Defender Cabrio LD 2.5 D. Land Rover. Defender LD 2.5 4x4. Defender LD_ 2.5 TD5 4x4. Defender Cabrio LD_ 2.5 90 TDI 4x4. OEM Part Number: ESR3926. Land Rover. Land Rover Discovery (LJ,LG) 3.9 V8 (1993-1998) KW 134 BHP 182 CC 3947. Car: Land Rover. Direct 2 Public. Compatability Chart is for the reference only. All the information we have regarding the fitting is stated above. Codice Magazzino : 4420. VW–AUDI–VW Compon. Land Rover Freelander (LN) 2.0 Td4 82-112 11/2000-in poi. Applicazioni : LAND ROVER FREELANDER (LN). Lunghezza totale pompa [mm]: 123 – lunghezza corpo pompa [mm]: 90. OEM PART NUMBERS : LR043385, LR014997, AH229B260AB. Land Rover. Car : LAND ROVER. Range Rover Sport LS 4.2 4x4. Range Rover Sport LS 5.0 V8 4x4. Direct 2 Public. Flow Rate : 234 l/h. Compatability Chart is for the reference only.